I like sawi flowers because of their tender stems. 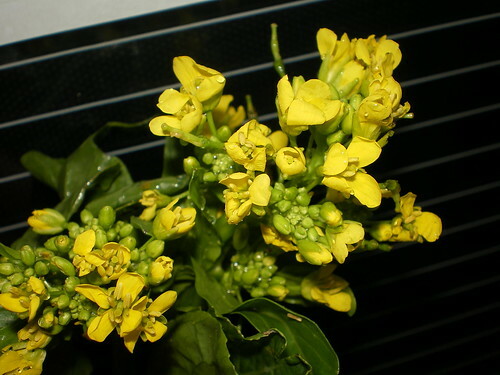 I momentarily forgot what sawi is called in English until I read Hochiak‘s blog and learned that it is call Chinese mustard green. Actually it was his recipe for economy fried noodle that got me hungry. I headed to the kitchen, dig out what I have in kitchen and fry almost the same noodle. 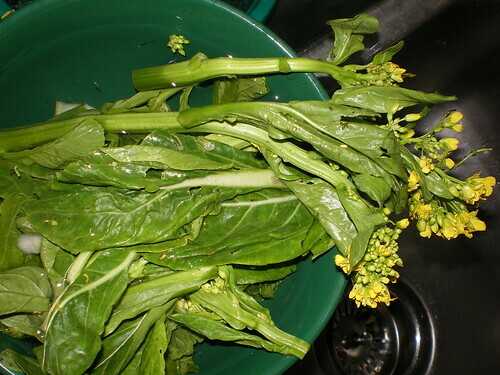 To prepare the vegetables, remember to peel off the outer green stems because some of them are really fibrous. If you cannot break off the stem with your fingers, it means you need to take a small knife and peel the outer layer. Wash them thoroughly as sands sometime lodged in between those flowers. 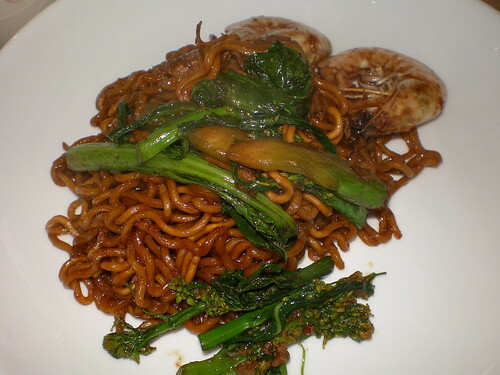 I fried two pieces of dried noodles with the bunch of vege, some meats and prawns. Recently, I bought this dried noodles from Vit Mee. I really like their texture which is firm and taste good too. It is not the instant noodle variety because the packet of dried noodle comes without any powdered stock. Keeping a packet in the kitchen is good because you can either fry or make noodle soup with them whenever you need some noodles. Just parboil them a bit to soften before frying. Using just some dark soya sauce, oyster sauce, soya sauce and pepper, I got myself a large portion of noodle enough to feed the kids and I. Cheap and very good. If you need the detailed recipe, you can find them from Hochiak. Yes, talking about the Vit mee, they are quite handy to have around. And they taste quite neutral compared to the instant mee available. 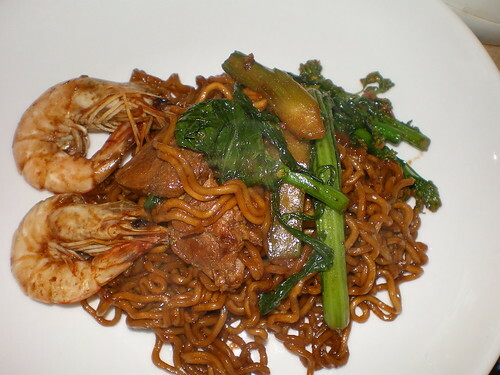 Hmm…delicous homecook food….i always stock some vit mee….in my larder……they r not too soft and starchy….when cooked.